The Water Trough Fountain features a Poseidon-like mythological figure on the face of the fountain. This commanding figure spouts water into the trough below him. 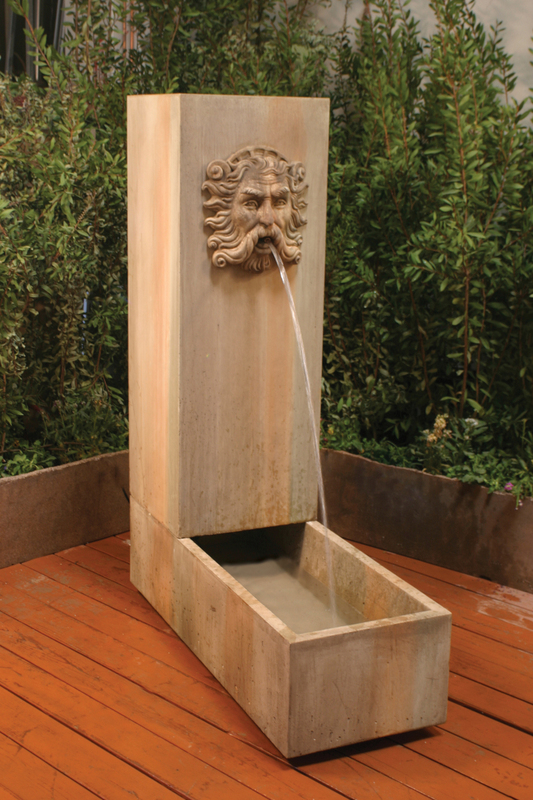 This fountain will bring a sense of timeless elegance and history to your environment. L 18" W 48" H 61" | 441 lbs.